Pick the delightfully delicate My BonBons 18ct Gold & Steel Pink Jasmine Charm from Nomination to make your look blossom with pure beauty. Jasmine flowers are the perfect symbol of affection. Please Note: The My BonBons charms are ONLY compatible with the My BonBons bracelets. Crafted from polished stainless steel and 18ct gold with enamel. https://www.johngreed.com/nomination-my-bonbons-18ct-gold-and-pink-jasmine-flower-charm 127551 My BonBons 18ct Gold & Pink Jasmine Flower Charm https://www.johngreed.com/media/catalog/product/n/c/nc1770_0_2.jpg 29 29 GBP OutOfStock /Women /Women/Charms /Women/Brands/Nomination /Women/Brands/Nomination/Nomination Charms /Women/Gold Jewellery /Women/Brands /Women/Spring Sale Pick the delightfully delicate My BonBons 18ct Gold & Steel Pink Jasmine Charm from Nomination to make your look blossom with pure beauty. Jasmine flowers are the perfect symbol of affection. Please Note: The My BonBons charms are ONLY compatible with the My BonBons bracelets. 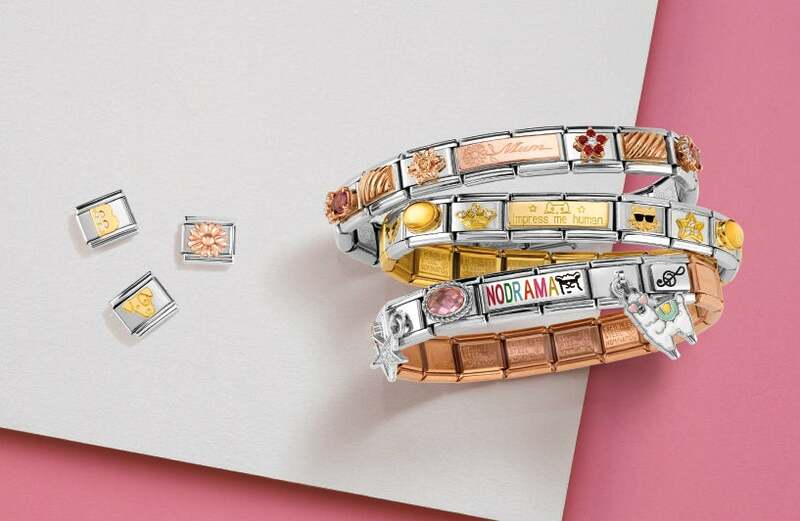 Crafted from polished stainless steel and 18ct gold with enamel.